BRYAN EATON/Staff photo. 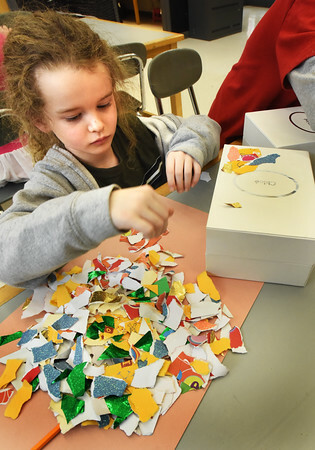 Jack Spring, 6, chooses ripped pieces of colored paper to make a mosaic to decorated a treasure chest he was making Tuesday afternoon. He was in the afterschool program Explorations at Salisbury Elementary School in art class taught by the school's art teacher Jen Bergeron.